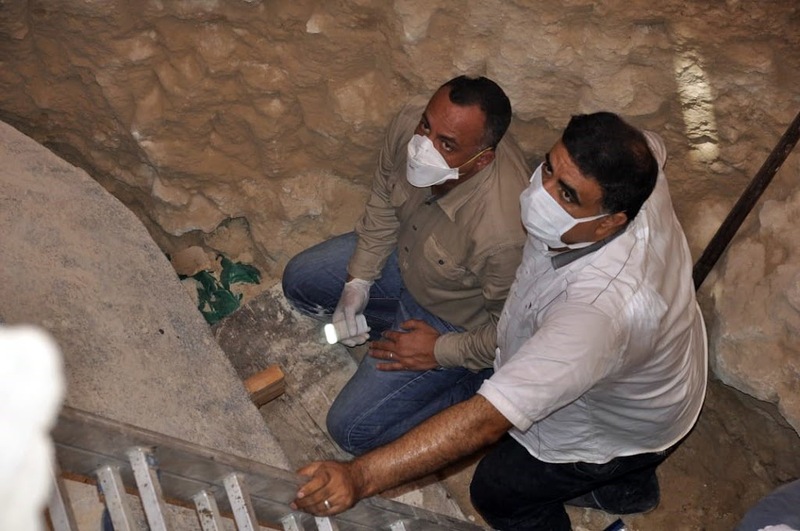 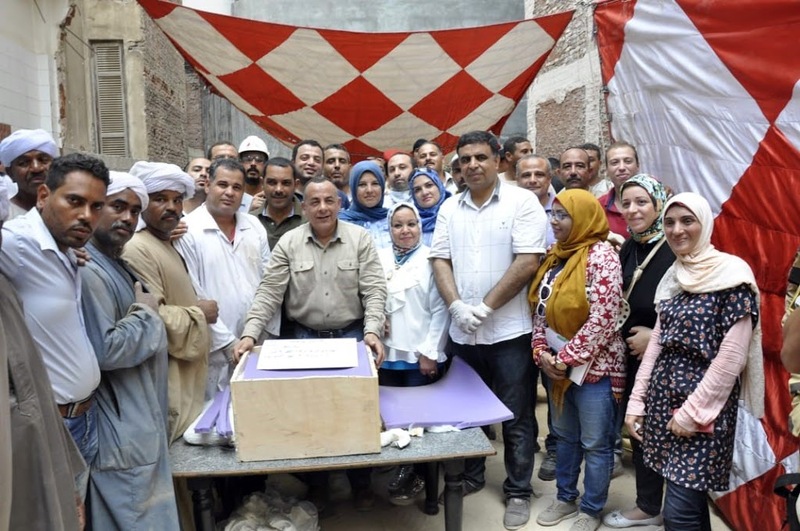 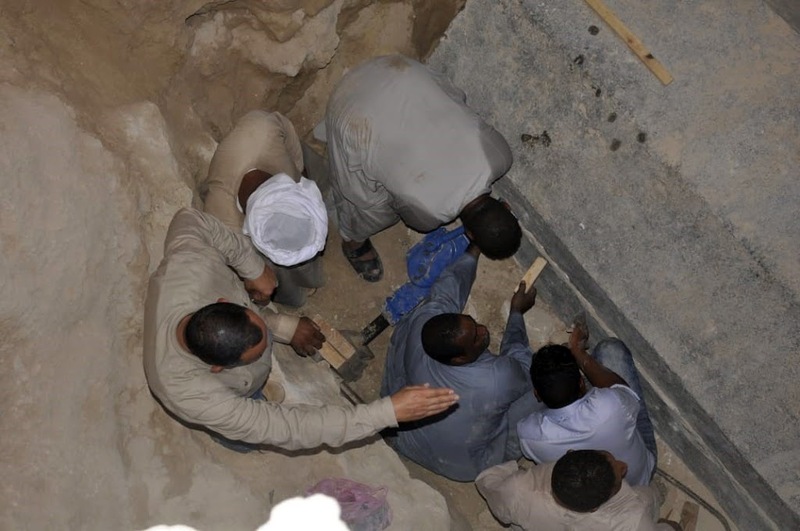 Several officials of the Ministry of Antiquities headed by Dr. Mostafa Waziry and Dr. Aiman Ashmawi have witnessed earlier today the opening of the black granite sarcophagus in Alexandria. 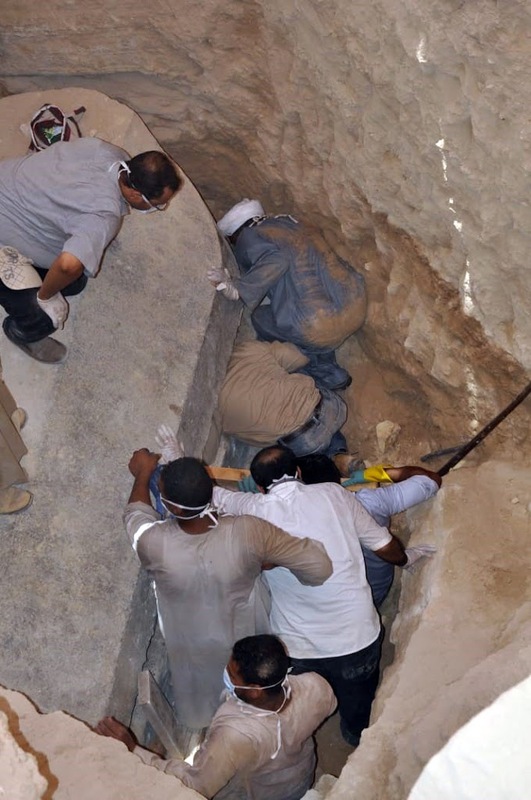 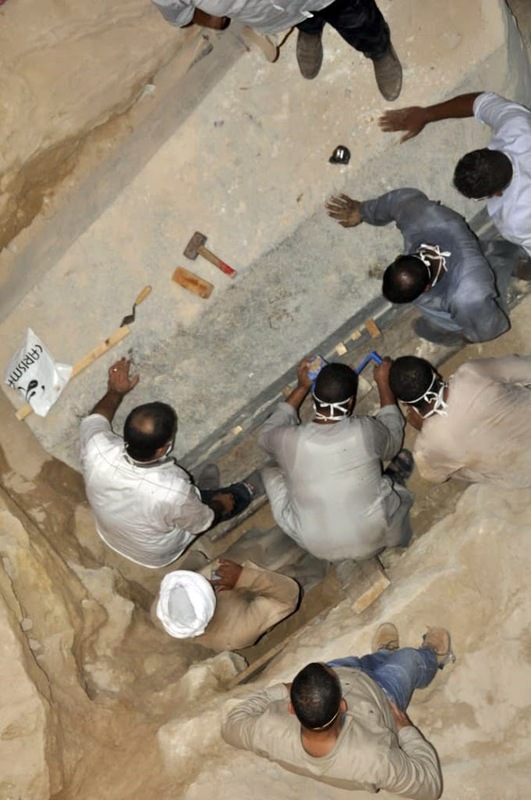 The sarcophagus caused controversy in the media since the announcement of its discovery. 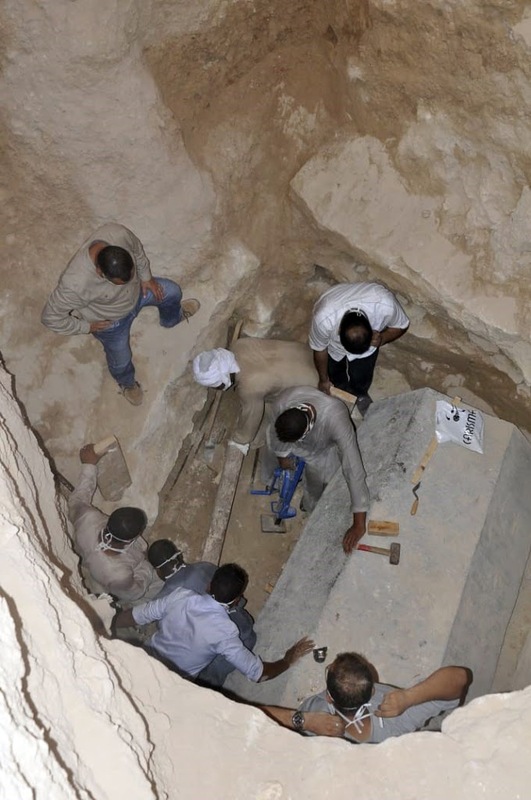 What was found inside was certainly not expected after all the anticipation. 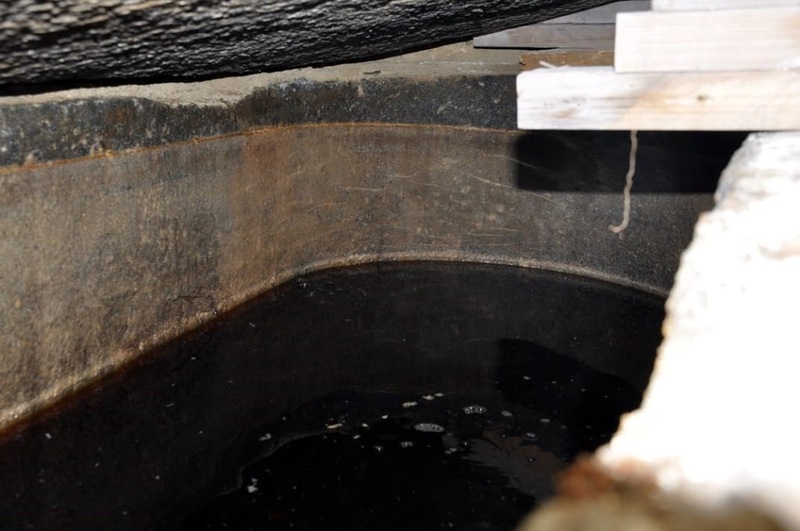 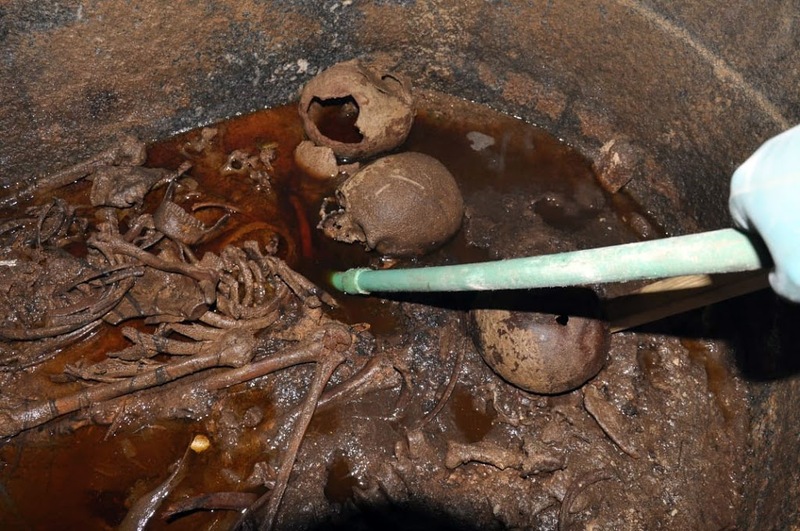 It was filled with sewer water and contains 3 skeletons. 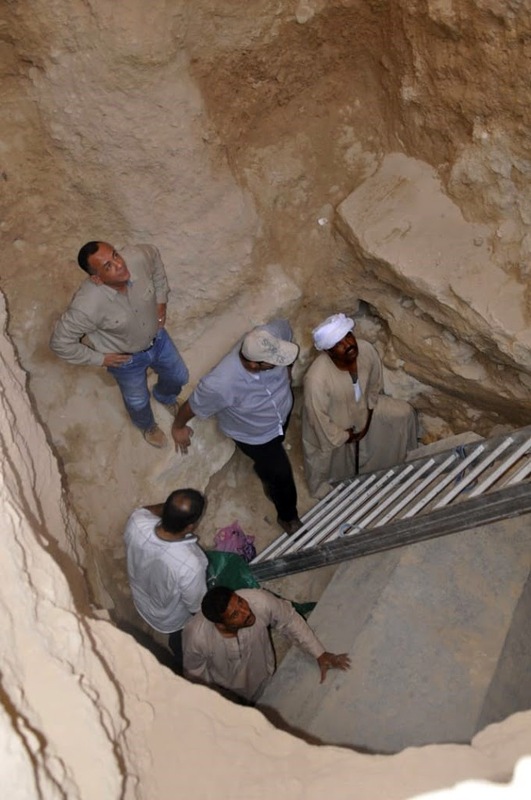 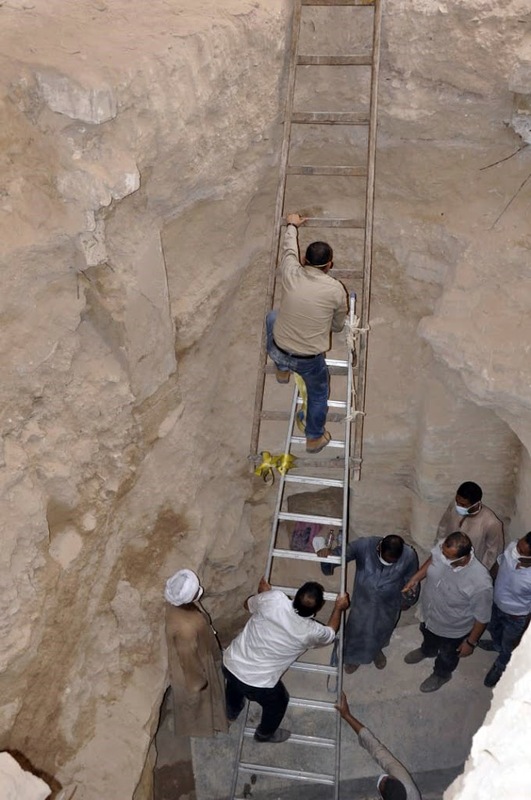 Shaban Abd Monem, specialist in mummies at the Ministry said “Preliminary examination suggests the skeletons belong to 3 army officers, one of them his skull shows an injury of an arrow. 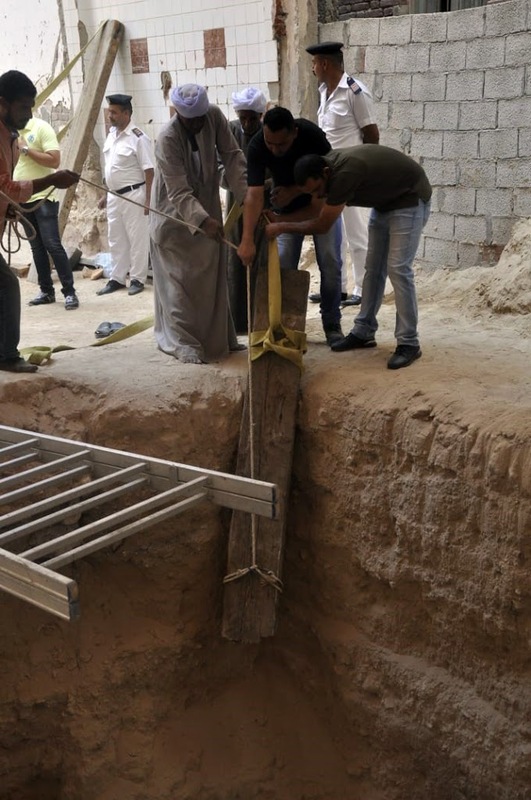 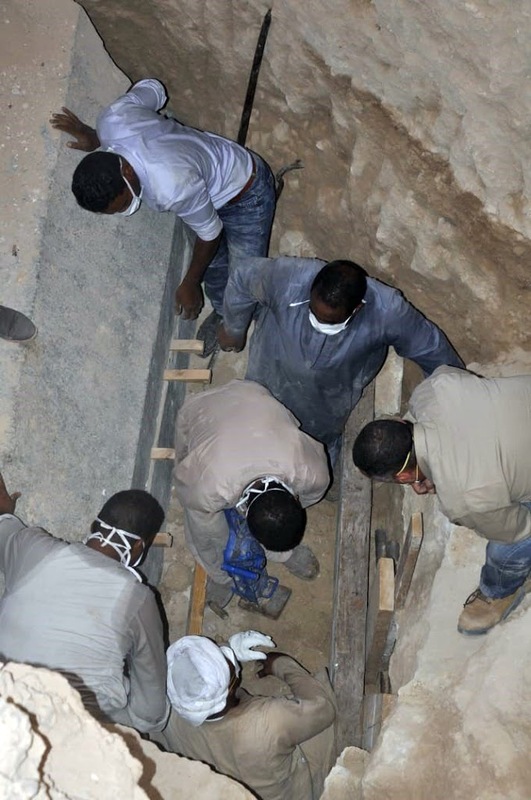 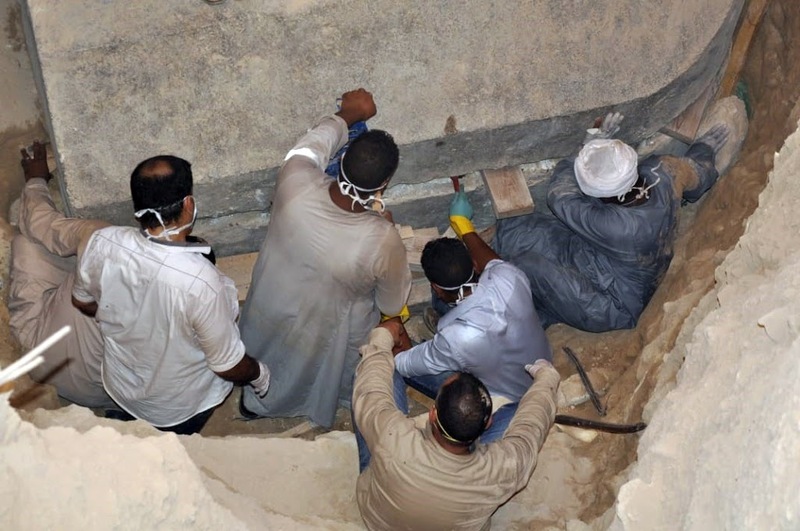 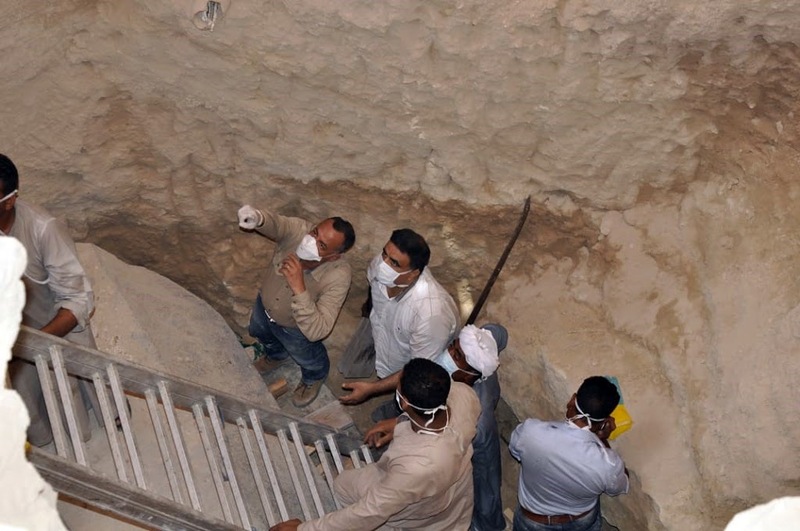 The skeletons will be taken to the storerooms of Alexandria National Museum for further studies and dating. 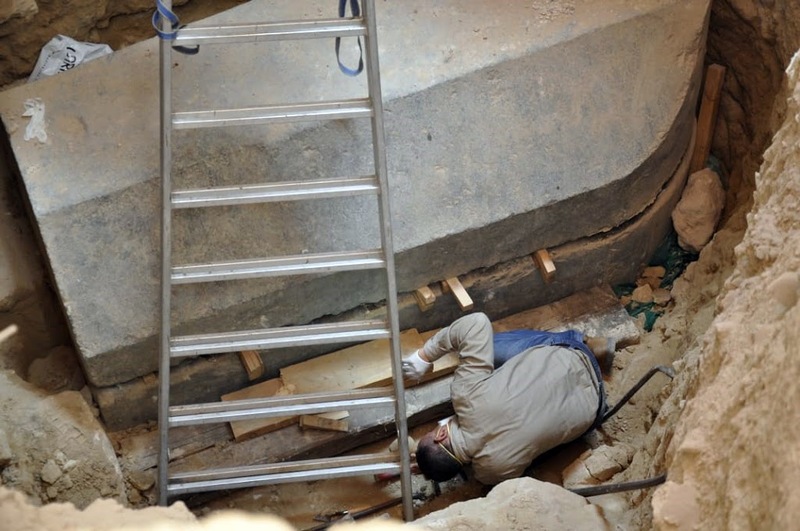 As for the sarcophagus, after initial restoration, it will be moved to the storerooms.